Obituary for Mary Jean (Walden) Young | Heubner Funeral Home Barry's Bay Ltd.
Mary Jean Walden Young, age 95, died peacefully on August 22, 2018 surrounded by her family. Social justice activist, founding member of an ecumenical organization providing assistance to the poor, and civil rights champion, her life embodied what it means to live the Gospel values in loving service to others. Jean was born on July 8, 1923, in Denver, Colorado, the daughter of Alice Bridget McCanna and Ransom Post Walden and sister of Anne, Donn, Gregg and Jerry. She attended Denver University night school while working full-time as a secretary. Her adventurous spirit led her, at age 22, to travel to Washington D.C. where she continued her education by attending night school at Georgetown University’s School of Foreign Service. At Georgetown, Jean met Bob Young, a WWII Navy veteran, and after she graduated in 1949, they married in June 1950. They raised their four children in Alexandria, Virginia and built lifelong friendships with neighbors while being active in parish life at Blessed Sacrament. Jean’s deep sense of social justice led her to involve herself in the March on Washington, the Christian Family Movement, social justice activism, and as a founding member of ALIVE, Alexandria's largest nonprofit agency providing assistance to those in need. In 1982, Jean and Bob moved to Combermere, where they had been building friendships through their connection with Madonna House. 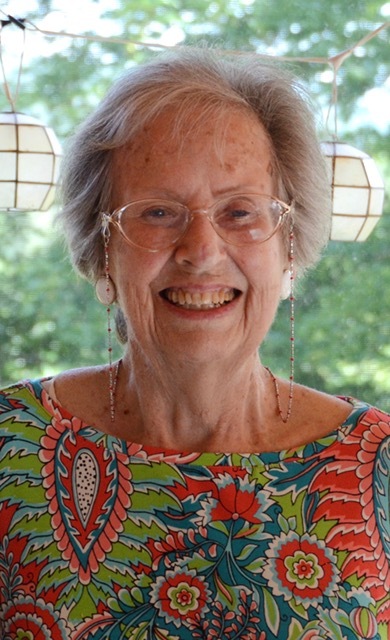 She enjoyed researching genealogy, weaving, attending lively book club meetings, exploring the works of female theologians and spending time with her grandchildren. Jean lived an intentional life. She loved her family deeply, she welcomed the stranger, and she saw the inherent goodness in people, especially those on the margins of society. She was an inspiration to us all to lead a life of compassion and loving service to others. Jean is survived by her husband Bob, with whom she shared 68 years, son Robert (Jaquie), daughters Terry Jardeleza (Jack), Jenny Traynham (Mac), and Polly Young (Heidi), 24 nieces and nephews, nine grandchildren, seven great-grandchildren, and numerous friends, each of whom she treasured and loved. A funeral Mass and celebration of life will be held on Tuesday, August 28 at 11 a.m. at Holy Canadian Martyrs Church in Combermere. A luncheon will follow.